This entry was posted in Creative Expressions, Painting, puttering & drawing, Personal Reflection, Workshops, Seminars & Groups and tagged 20 minute sketches, art class, charcoal, ditching classes, life drawing, water-color pencil. Bookmark the permalink. ← Why I’ve not posted on “Curious” for awhile. Your drawings are getting good seriously good. You didn’t sign your comment but I didn’t delete it cuz “getting seriously good” was too good to delete. Thank you. You continue to amaze me with your talent. Keep it up gal. Miss you but makes me happy you are enjoying your retired life. Thank YOU! I sometimes amaze myself. Retired life has been up and down. When it’s down I remember it will go up . 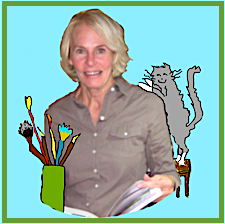 . .
You’ve come a long way, Judy – your art is wonderful – love the way you push a bit of color into some of them and let the lines capture so much of the subject. Thank you! I can see my progress too. So glad you signed your comment cuz I usually delete “anonymous” to make sure the site isn’t being spammed! Thanks for the “well spent”!